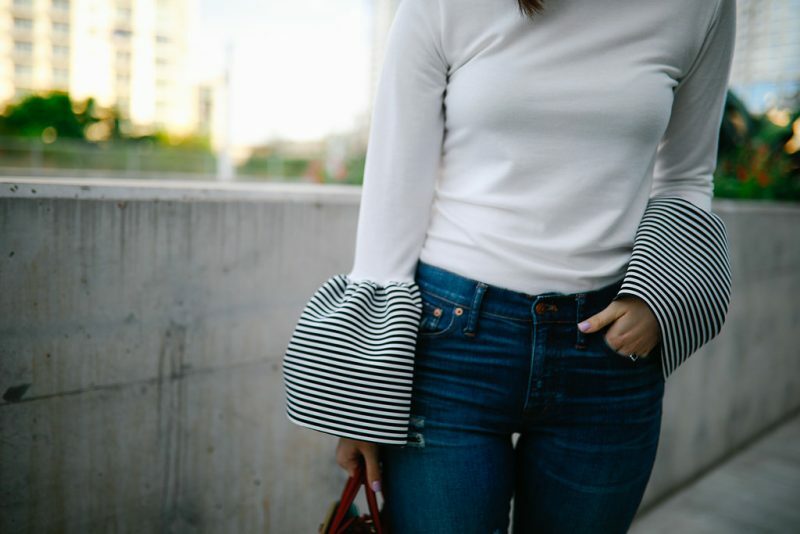 If you haven’t noticed, statement sleeves are a huge trend this season and they’re not going anywhere soon. 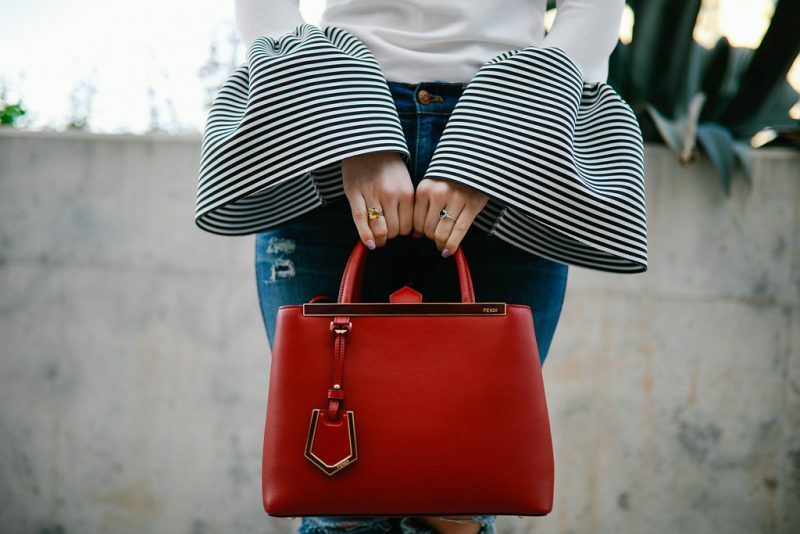 It also turns out that they’re a perfect trend to incorporate into your workwear. 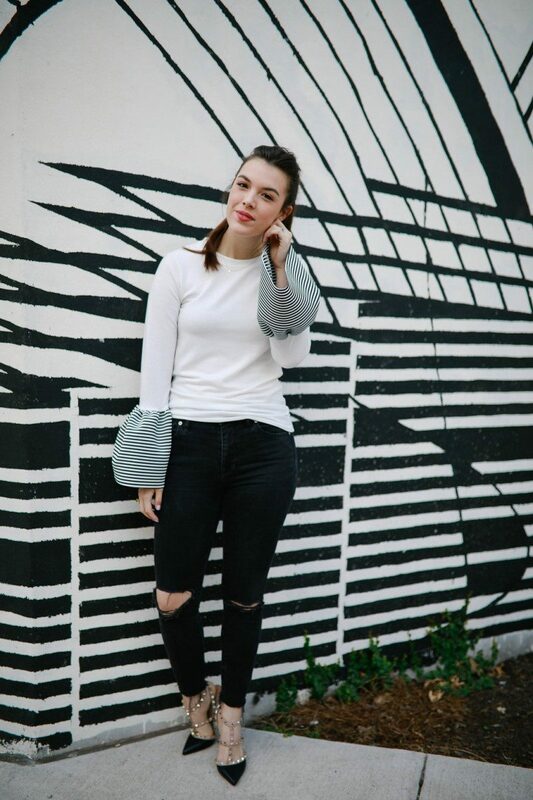 I just had to style this trendy workwear outfit for both work and play (desks to drinks, take your pick) for you guys to give your office style an update! 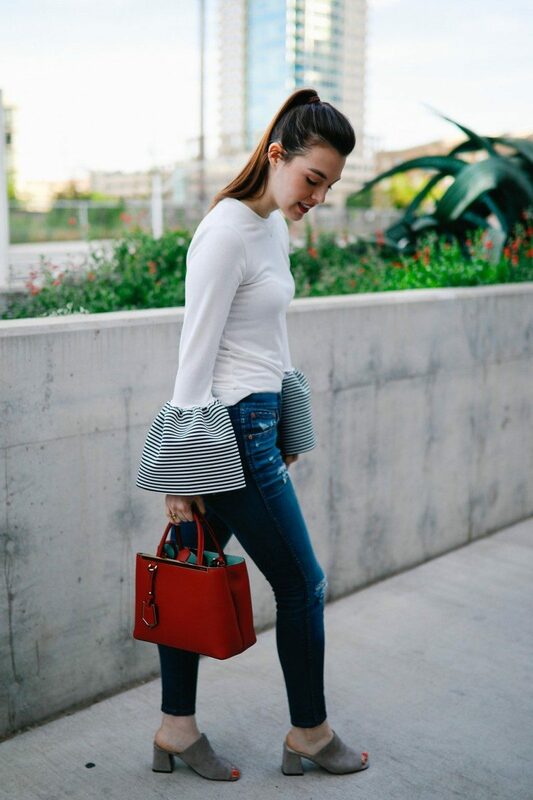 Tuck your statement sleeve top into a high-waisted pair of jeans or a skirt for a chic look. These black, distressed Madewell jeans are my everything. I wear them an unhealthy amount and they are hands down my most flattering pair of jeans. Top off the look with some pointy toe pumps or patent loafers to have that professional finish! 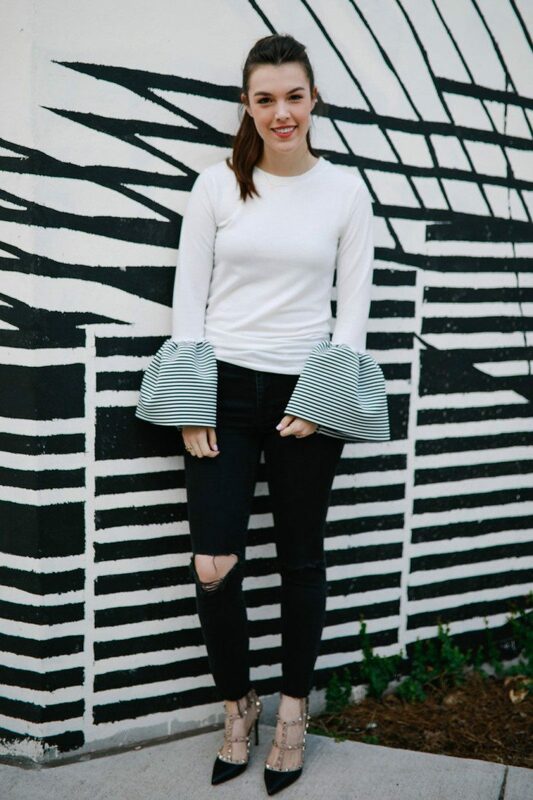 Wearing statement sleeves to work is the perfect way to elevate your everyday office look without getting too crazy! 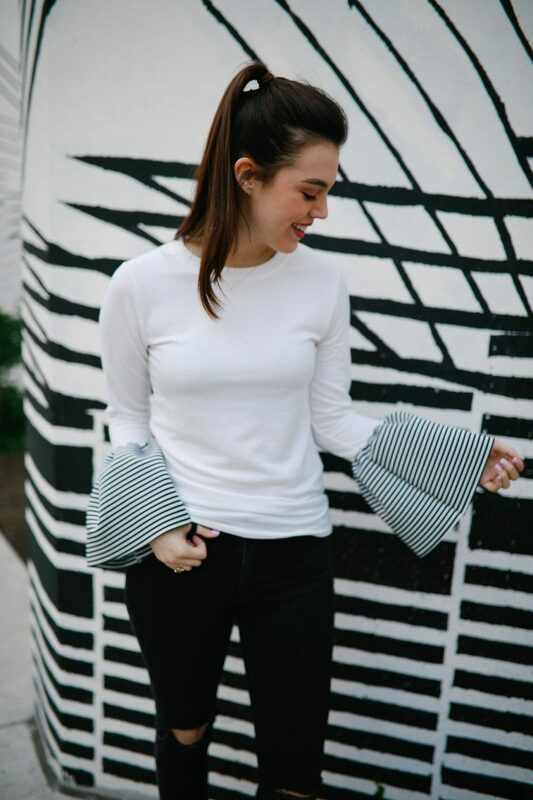 Whether you’re going to lunch, a dinner date, or a happy hour, this outfit has the perfect elements of this season’s statement sleeves trend paired with classic essentials. 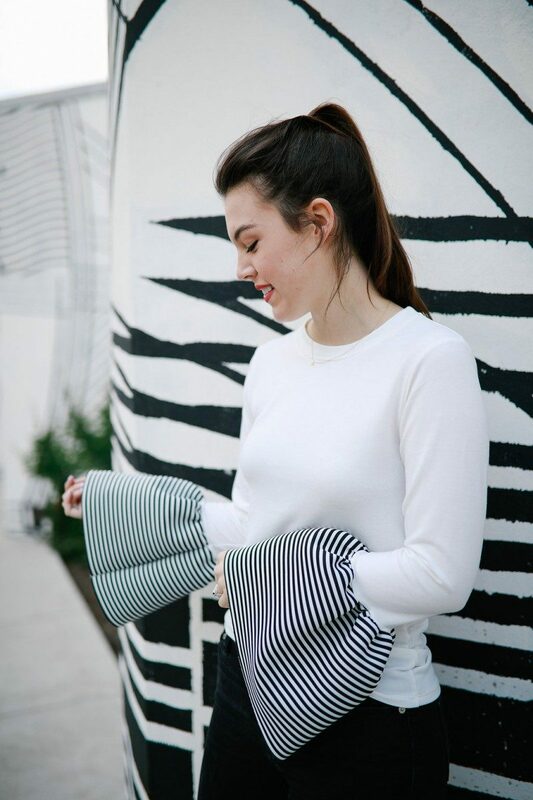 I love that this top can also go with my casual blue jeans. 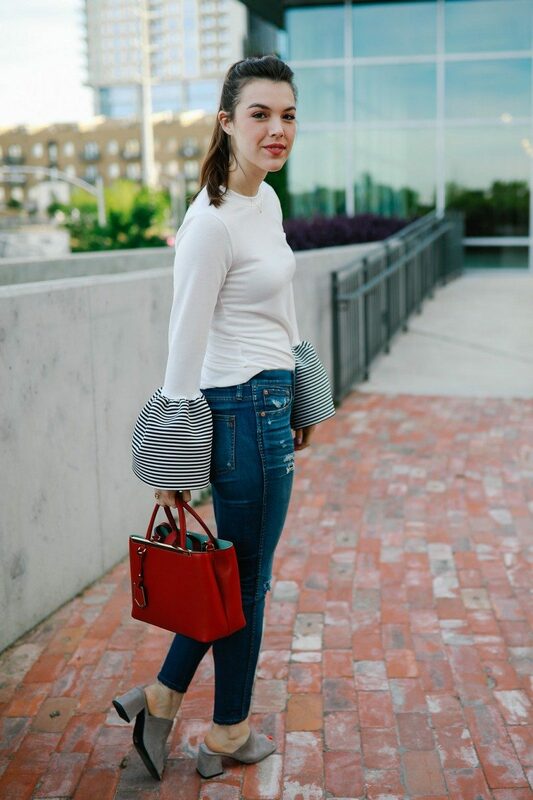 I decided to throw in a pair of mules based off of an inspo pic on Rachel Parcell’s Instagram account! They’re comfy and still give you the height and leg lengthening you want. 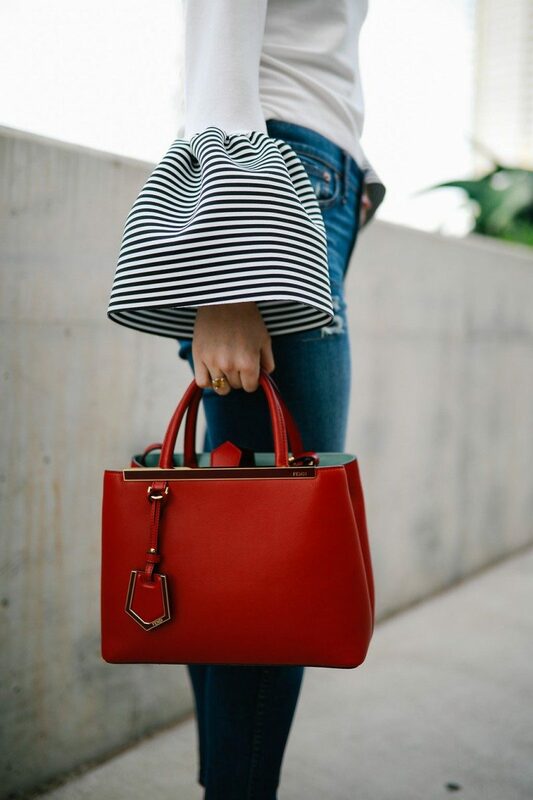 Throw in a clutch or bag that is in a statement color or pattern to make the whole outfit POP!